For the first time ever, European Union (EU) leaders have agreed to a real-terms cut in spending, after all-night marathon talks in Brussels that left some delegates angry, some disappointed, and a lot of others simply relieved that they could get out of town. The €960 billion multi-annual financial framework or MFF, which covers the seven-year period from 2014 to 2020, would be about three per cent less than the current long-term budget, and a sharp cut from the €1.03 trillion proposed by the European Commission (EC) at the outset of negotiations. Despite assurances from insiders that the initially requested €7.9 billion for Galileo was sacrosanct, the program will now only get €6.3 billion (US$8.42 billion) under the new budget to complete its deployment phase and ramp up exploitation through 2020. But is this the crippling blow some had been dreading for a program that’s seen its share of ups and downs? Maybe not. The compromise emerged after a bruising battle that saw Britain’s Prime Minister, David Cameron, leading demands for deep austerity cuts while French President François Hollande defended spending to help recession-hit economies. Both sides had threatened to walk away from the table — again — if they didn’t get what they wanted. The first budget summit collapsed last November with recriminations all around. 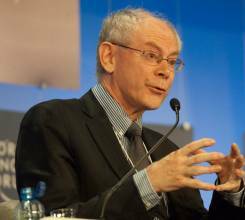 Finally, on February 7, Angela Merkel, the German chancellor, brokered the deal with Herman Van Rompuy, European Council president. It includes €1billion in cuts in spending on the Brussels bureaucracy, big reductions in cross-border infrastructure projects, and a €6 billion package to tackle youth unemployment. The Galileo budget falls within the research subheading, under “Competitiveness for Growth and Jobs.” In fact, compared to the previous EU budget, that category received an overall increase of €34 billion, or nearly 40 percent. So, it would seem, the EU budget for research has been spared. Nevertheless, Galileo, specifically, will not be getting what it said it needed. 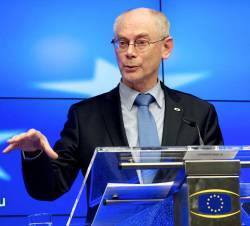 Van Rompuy added, ominously, “The budget cannot be launched without the European Parliament’s consent.” More on that later. . . . Here are the facts: the original seven-year budget proposed by European Commission Vice-President Antonio Tajani was “very generous,” say those in the know. In fact it was widely criticized as such at the time. It included not only the operational costs for EGNOS and Galileo, but also the completion/refurbishment of the Galileo constellation and the initial procurement of Galileo second-generation. According to sources very close to the program, the new EU budget actually represents a big success for European GNSS and in particular for Tajani, who, they say, played “a very clever game.” In simple terms, he inflated the requested budget, knowing he wouldn’t get what he was asking for, and now ends up with more than enough to do the job. “There will be no impact, no negative effects on Galileo,” says one expert. But that’s not to say no challenges remain for the program. Tajani has been pressing hard for the establishment of early Galileo services by the end of 2014, a very aggressive deadline. 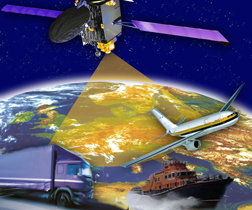 And even though these early services will be limited in scope, they will represent a demonstration that Galileo has indeed made the transition from a technology development system to an operational one. “Then, the market, as well as the governments of the Member States, will start increasing their interest and promoting further investments,” Tajani says. If it works, Galileo will finally be able to breathe a sigh of relief and never again have to bother with EU-budget penny-pinchers. Be that as is may, €6.3 billion is still €6.3 billion for a program that, whatever Tajani’s ambitions, is still not operational. The new budget, however, cannot enter into effect until the EU Parliament says it can. Remember, under the current rules, the European Commission comes up with the initial budget proposal, based on estimates from programs and services involved. The European Council, made up of the EU member states, then reworks the proposed budget. That’s where we are now. Then, the Council sends the budget to the European Parliament, which has to accept it. European Commission President Manuel Barroso, clearly disappointed with the outcome of the talks, put it straight: “The budget is not perfect but offers a basis for negotiations with the European Parliament." Yes, he said, “a basis for negotiations. . . .” So, it’s not over till it’s over. Meanwhile, leading members of the European Parliament were quick to express opposition to the deal, even as the ink was still drying. European Parliament President Martin Schulz reminded European leaders that lawmakers will have the last word: "The further we step away from the Commission’s proposed figures, the more likely the proposal will be rejected," he said, adding that MEPs were "extremely skeptical." Schulz was particularly critical of the accounting finesse — widening the gap between payments and commitments — employed by Van Rompuy to accommodate the French and British positions. Doing so, he said, would result in future deficits for an EU that is already grappling with a mounting pile of unpaid bills. "More and more tasks, and less and less money — the inevitable result is budget deficits," Schulz tweeted. "The Parliament will not go along with this." A “final” decision is now expected sometime next summer.